KUALA LUMPUR (Oct 17): Lembah Sari Sdn Bhd, which recently won the multi-million ringgit security-labelling concession contract for liquor, stressed today that the award was not a result of direct negotiation. In a statement, the company, which is owned by Datuk Haris Onn Hussein, the brother of Defence Minister Datuk Seri Hishammuddin Hussein, clarified that it had participated in an open tender by the Royal Malaysian Customs and was subsequently awarded the contract. 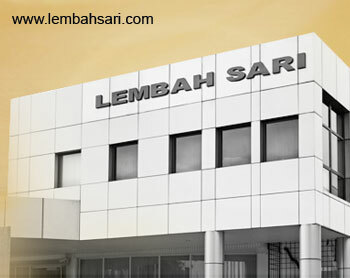 According to Customs website, Lembah Sari received the agreement letter on July 21. The contract worth RM77 million is to design, print, store, supply and distribute banderols (tax stamps) for liquor (including beer) between 2014 and 2019. Lembah Sari has been in the media spotlight lately after DAP's Petaling Jaya Utara MP Tony Pua had questioned why the company was awarded the contract. Pua had claimed that the company bagged the multi-million ringgit concession via direct negotiations. "Is it because the company, owned by Datuk Haris Onn, was offering the lowest bid for the contract? Is this the only company with the expertise to do the job? Or was the decision made primarily because it is the cheapest?" Pua questioned. In response to this, Lembah Sari said they have about 10 years of experience and expertise in the provision of total solutions for government excise and tax revenue protection, brand protection and security solutions and products. "We also provide services to design, print, store, supply and distribute security products including banderols (tax stamps)," it said, adding that they also supply unique authentication devices and provide the necessary training to use them. Earlier, Hishammuddin stressed that neither he nor his family, including his brother Haris, had received any contracts from the ministries which he had headed in the past. "I had nothing to do with the awarding of the contract," he said, adding that he would not defend his brother if there was "anything wrong" in the matter. The defence minister said that he had no knowledge of his younger brother's business dealings and had no link to anything he was doing.